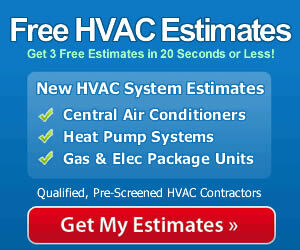 I’m building a home here in western Maryland and had been seeking advice on which heating system to choose. 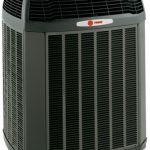 After looking over dozens of brands/models I first narrowed my choice to either the Trane XR15 or the Trane XL15i heat pumps. Our current home has a five year old Trane that has been a workhorse machine. I went into the current search with Trane as my first choice and compared all the others to it to see if I was convinced any could outdo it. I looked at some units that were highly rated with lots of great features, similar to these two Trane units, but nothing I found gave me cause to go with another brand. The climate here played a significant role in my decision-making. It can dip well below freezing here in January/February, if only for a few days. But it’s a damp cold that seems to creep into the house. Things start heating up in May and it can be pretty sticky throughout the Summer. The temps aren’t extreme but the humidity makes both the cold and heat worse. The research I’ve done shows these two units to perform very well in humid, moderate climates. The XR15 is labeled a high efficiency heat pump while the XL15i is called a super efficiency model, though it’s hard to understand why Trane makes the distinction. The XR15 sports cooling efficiency, or SEER, of up to 16.5 and a heating efficiency, or HSPF, of 9.0. The XL15i goes 16.0/9.0 so there’s little difference there. 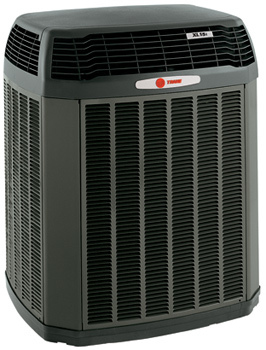 They are both Energy Star rated, single stage heat pumps, and include the Trane CleanEffects air filtration equipment. The XR15 is offered with a 10-year limited warranty on the compressor, coil and additional parts while the XL15i comes with 12 years on the compressor. The cost for the units themselves came in pretty close, too. The XL15i was quoted between $6,900 and $7,050 by three different dealers while the XR15 was slightly less at $6,650 to $6,800. Installation was where things got a little odd. The one dealer wanted to charge me time and materials – and he wouldn’t give me an exact quote. I finally got him to say “somewhere between $700 and $1,500.” The other two dealers, one of which a friend had used a couple of times, were in the $950 range. Maybe I would have saved money with the T & M guy but somehow those types of quotes seem to finish on the high end of the range. At the end of the day I chose the Trane XR15 because it cost slightly less and I couldn’t find a compelling advantage for spending more on the Trane XL15i. The energy usage specs are essentially the same, as are the features. I added two heat strips for an extra boost on the coldest of days.